Since we just started delivering Felfil Evo, we decided to open this topic in order to give the best possible assistance and to share ideas with our community. So feel free to ask, to suggest and to post your solutions! 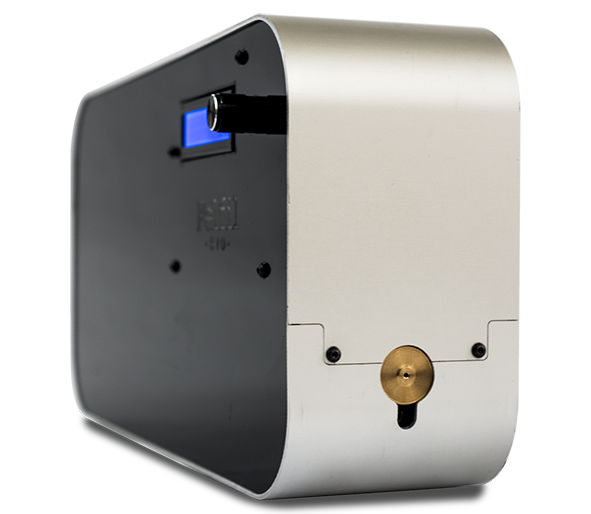 Felfil Evo is an easy to use filament extruder, which will allow anyone to produce their 3D printer filament on their own, starting from industrial pellet, wrong 3d prints or recycled wastes. FEFA – Felfil Evo Fully Assembled, for the laziest ones . [felfil.com] – Our site, where you will find all official documentation. [github.com] - Official GitHub repository, where you can study and download the project. Collettivo Cocomeri, makers of Felfil project [felfil.com]. Very nice and elegant of your extruder design. Why do you use a cooling fin on the extruder? I did not see ventilation holes in the housing. Also you don't use insulation around the hot end. Is the inside of your extruder box not getting very warm with a 200degree heater in there ? Thanks Windmaster for your feedback! We developed a cooling nozzle in order to obtain a nice fit extrusion without forced air cooling or similar. Ventilation holes are placed in the back of the extruder with a 4cm fan to keep all the electronics cool. In the Full Kit and in the assembled one we expected an insulation, we use insulation Eco whool, arround the melting chamber, in order to optimizing electricity consumption, safegard the inside component and safeness in general. You can not see it in the campaign video cause we want to show all the main component of Felfil Evo to our community, but is usefull to adopt it for a long time use of the extruder. However you can easily customize the PMMA carter, for example to fit two or more fans or a bigger one. We received a lot of feedback about it and we are really happy, but some of you found some troubles with the Basic Kit and asked for a better explained Guide about an Arduino solution in order to make it works. We want to share with you new documentation about the DIY electronics controller for one of the possible solution to make the Basic Kit works, the one we are proposing is studied to works with our official Felfil Evo firmware (released asap). Edited 1 time(s). Last edit at 01/06/2017 02:17AM by fas83. Wow, this is the spirit of Basic Kit: support everybody's experimentation! By the way, it seems very smart the idea of the buffer in front of the winder.